← [EVENT] 10th Seoul Girls Collection Super Live in Manila! 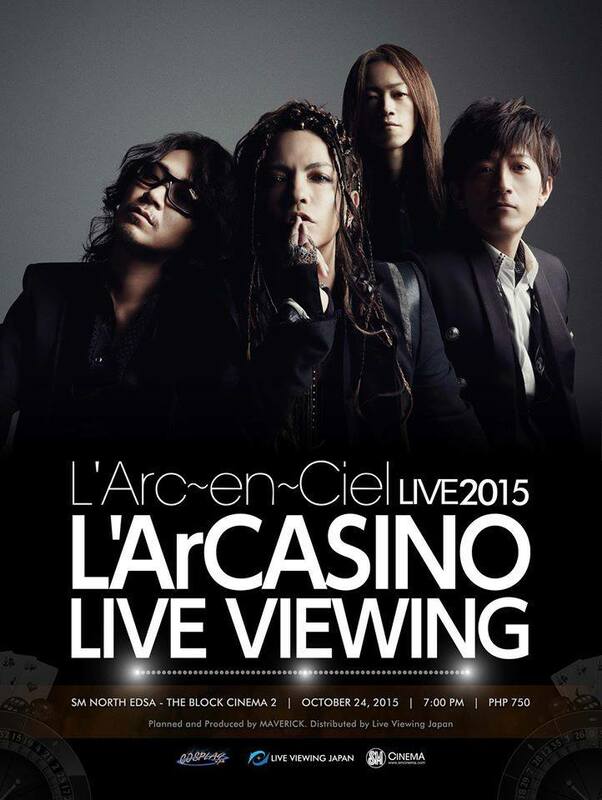 [EVENT] L’Arc～en～Ciel LIVE 2015 L’ArCASINO Live Viewing in Manila! L’Arc～en～Ciel LIVE 2015 L’ArCASINO Philippine Screening Set! The screening is slated for 24th October 24, 2015, at 7PM at the SM North EDSA Cinema 2. Tickets are pegged at Php 750 and are available nationwide at SM Ticket outlets, or online viasmtickets.com from 1st October 2015.